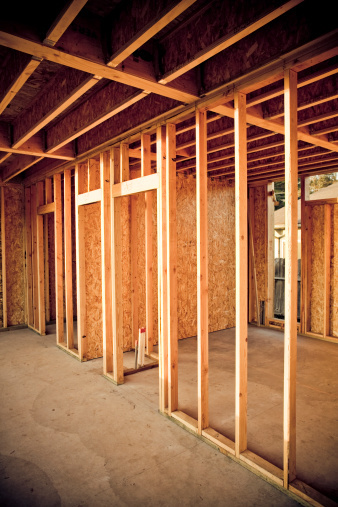 When undergoing a home remodeling project, you may feel the need to tear down certain walls to expand a room or alter the original layout of the home. While knocking down a wall is tricky, it can be done by the average homeowner as long as the task is approached with safety and after thorough research. This is especially true of cinder block walls, which are often crucial in supporting other walls or structural beams. The most important question to ask yourself before starting to prepare your wall for demolition is whether or not it is a load-bearing wall. 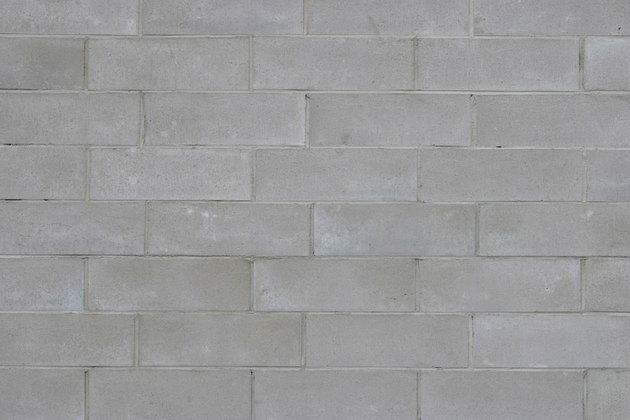 Some walls, especially those made of cinder blocks, are crucial for supporting either a roof or an above floor. Obtain a copy of the structural plans for your building from your city's Planning Commission (or Council). These plans will clearly label all load bearing walls. If these walls are torn down, then your house could suffer serious structural failure, including potential collapse of the roof or an upper floor. If the wall in question is a load-bearing wall, you must take precautions to support the structure of your home before tearing down the wall. This often means constructing joists parallel to the wall you are tearing down, then constructing braces for to hold those joists in place. This allows the weight of the building to be transferred to the joists so that the wall can be safely removed. If you are unsure as to whether or not your wall is a load-bearing one, check with a licensed contractor or structural engineer before beginning any work. Preparing the area and the wall for demolition is very important to not only make the demolition process go more smoothly, but also to minimize the spread of dust and dirt throughout the rest of the house. Put down drop cloths and hang plastic sheets to separate the demolition area from the rest of the house. Ensure that all electrical outlets in the wall are dead and that the water is switched off at the mains. Remove any old wiring and plumbing in the walls, terminating the circuits and capping any pipes. If there is paneling over the cinder block walls, tear it off with a pry bar and a hammer before you begin tearing down the wall itself. After this, you can start to cut out the cinder blocks using a concrete saw. This saw can either be purchased at a hardware store or rented. Try to cut through the studs in your wall first, as this will make it easier to tear down the wall overall. Cut through the studs, then twist them out and then simply knock apart the wall using a hammer. To reduce rubble, break apart the bottom of the wall first and try to push over the wall instead of sawing each individual block.